In order to lose weight, maintain weight or gain muscle it's a good idea to have a general understanding of how many calories your body needs to function, how many you typically burn in a day and how many calories you are consuming, but if you're pulling your hair out because you're not getting the results you desire, there may be a better way. If you want to lose weight you need to be in a calorie deficit, which means you need to consume fewer calories than you burn. If you want to maintain your weight, then you want to eat enough calories to stay out of a deficit, but not too many which could lead to weight gain. If you want to put on muscle you need be in a calorie surplus to add weight. Of course, there are other factors that can affect human metabolisms, like genetics and hormones, but it's a good idea to start with the basics and if you are still not seeing the results you desire, dig a little deeper. Let's keep it simple at first. There are a lot of formulas that you can find online that help you determine how many calories you should eat in a day to meet your individual goal based on your age, weight, and activity. While these calculators are a good baseline, they are merely estimates. They are a good starting point. The key is to monitor and adjust as needed. 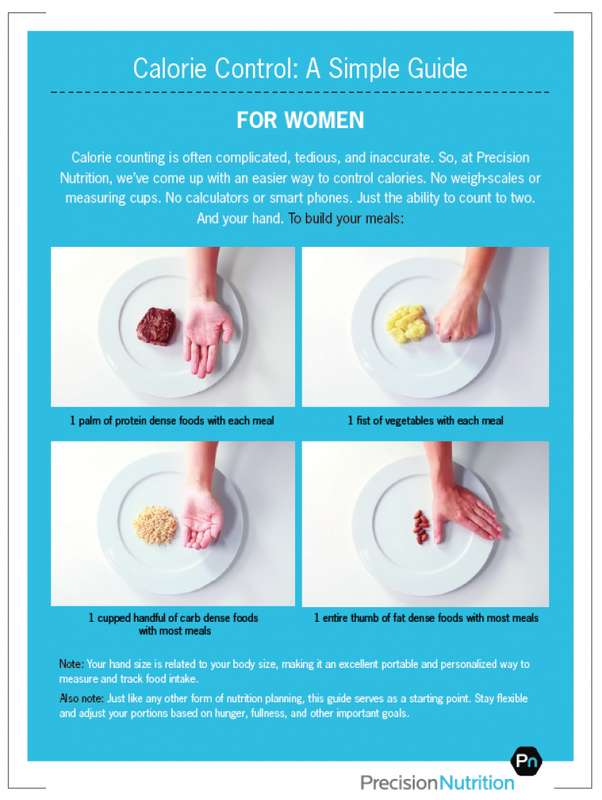 If you want a calculator, I recommend Precision Nutrition's weight loss calculator. Understanding that fancy online calculators are just estimates anyway, I prefer to do a simple calculation for calorie needs for weight loss. Weight x 10-16 based on activity level and adjust as needed. That means if you weigh 150 lbs, you could estimate your calorie needs are at 1500 to 2400 per day based on your activity level. Choose based on your goals and adjust weekly as needed. The key is to monitor your progress and make adjustment along the way. I like to use the chart below as a baseline for calorie needs. Again, it's a starting point and you can adjust week after week once you start to monitor your results. Lightly active would be someone who has a sedentary job but exercises for an hour three to four times per week. Moderately active would be someone who has a sedentary job but exercises five to six times a week, plus adds in additional daily movement. Very active would be someone who has an active job and exercises several times a week. There is no online calculator or chart in the world that can tell you individually what your exact calorie needs are for your goals. Most people eat more than they think (watch those hidden calories!) and burn less than they think (the calorie burn number on your cardio machine can't be trusted!). The amount of calories you burn every day is dynamic, it changes daily. Some days you may make a trip to the mall and walk some extra steps, other days you may be stuck at your desk and barely move outside your daily run. You may lift weights on certain days of the week and rest on others. You may run a half marathon on Sunday and watch a full marathon on Netflix the next. No one burns exactly the same amount of calories every single day. In fact, if you work out extra hard in the gym, you may spend more time on the couch recovering from your workout and eat more than usual due to hunger and end up not burning as much as you think. You can't trust your FitBit, GPS watch or cardio machine to give you an accurate calorie burn number, even if they factor in heart-rate. These numbers are all estimates. Some people go as far as to try to calculate EPOC (excess post-exercise oxygen consumption, or the calorie burn that is elevated after high-intensity exercise) but these things simply can't be calculated to an exact number. It's generally a good idea to build structured movement into your day, like exercise, and also try to include more daily movement like taking the stairs and parking far away from the entrance at stores or at work. It's fine to track the calories burned from your fitness wearables and cardio machines, just understand they are estimates. Certainly, don't make calorie intake decisions based on these numbers of calories, it may be (and probably is) overestimated. I always assume I probably burned fewer calories than a device tells me. You probably don't eat the exact same things, in the exact same portions every single day. It changes. Some days your at the office and you pack your lunch, other days you go out to lunch with coworkers. Sometimes you have a meal at home and other times you meet friends for dinner and drinks. You probably have a life. A lot of people on a weight loss diet will eat in a calorie deficit all week, then have full cheat days all weekend and knock themselves out of a deficit. It is perfectly fine, acceptable and encouraged to eat for pleasure and occasionally enjoy indulgences on your fat loss journey, but these meals should be built into the overall plan. Even if you count calories to hit the same calorie intake every day, it doesn't mean the calories will be exactly the same, even if you measure every morsel you consume. Nutrition facts labels are legally allowed to be up to 20% off in either direction because it's impossible for farmers and food manufacturers to produce every batch exactly the same, so there are some allowances for discrepancies. If the nutrition label states that a food contains 300 calories, it could actually contain from 240 to 360 calories and still be compliant with the laws. If you use tools like My Fitness Pal and rely on the calorie information provided by the app, then understand that this data is user-generator, which means it is full of human errors. If using an online app for calorie counting, always enter your own information from the label, rather than relying on the information that someone else may have entered incorrectly. IS IT ALL A GUESSING GAME? 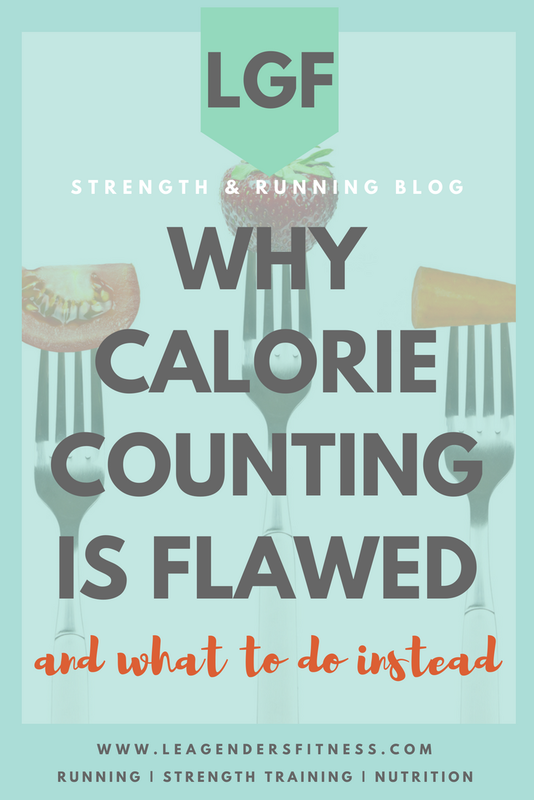 So if you're estimating calorie need, estimating calorie burn and estimating calorie intake, is this whole thing kind of a guessing game? Kind of, that's why I like to focus on the outcome then adjust accordingly. We estimate, yes but then we adjust and fine tune based on actual feedback in order to get closer to the results we desire. I personally find more value in measuring the outcome than the intake. Rather than obsessing about tracking every calorie consumed and burned, I use the PN portion control method and then adjust by adding more or taking away based on my results. Then the key is adjust as needed based on your body's feedback. You may need to increase portions on high exercise days or reduce portions or adjust your macros if you're not losing weight. I personally am looking to maintain my weight or gain muscle, so if I eat according to the portion control guide and find I am losing weight, then I know I need to increase my portions according to my goals. This works best if we are tracking our body measurements, weight, and body fat percentage. You don't know if what you are doing is working unless you can measure the results and make adjustments as needed. Stay tuned next week I will go into more details about how to make changes based on the feedback you receive from the scale, your clothes, and your body fat percentage to make outcome-based decisions so that you keep progressing towards your goals. If you hit a plateau, this guide will walk you through potential next steps to break through plateaus. Every person is different. Approach your journey as an experiment to figure out what works best for your body and your lifestyle. There is no failure, only feedback. Use that feedback to take the next step. There is not one universal approach that works for everyone. Like this post? Know someone who might benefit? It helps me when you share with your friends and followers.